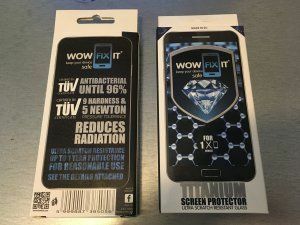 WE HAVE THE #1 TITANIUM GLASS SCREEN PROTECTORS ON SALE. PROTECTS ANY GLASS LCD, WATCH, LAPTOP, ETC. * MAKES THE GLASS 9H HARDNESS. CALL US IF YOU WANT TO PURCHASE.